The night passed quietly in out room. 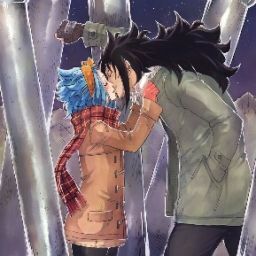 Juvia and I were playing chess when the clock chimed six times. "Time to start the day" Juvia sighed. We walked into the hall, were dozens of other maids were gathering. A tall white haired woman was creating everyone sleepily. "Morning Mira-sama." Juvia and I said. I adored Mira. She was the head maid, also the only human maid. She smiled,"Morning girls. Levy, his majesty asked me to have you visit him this morning." I groaned and she smiled a little sadly. I parted from them and walked down the empty halls. I never liked seeing him, I always kept myself busy so I wouldn&apos;t have a chance to worry about &apos;it&apos;. I approached a set of large white doors and took a deep breath. I knocked twice. "Enter," he called. I entered, keeping my eyes on the floor and bowing deeply. "You requested me?" "Yes I did... You know what time of year it is right? "I nodded. "You know what I&apos;m going to ask you after the ball right?" I gritted my teeth and nodded. &apos;Oh course I do you prick...&apos; I thought to myself. I heard him stand, keeping my eyes on the ground. His hand stroked my cheek and I tried not to flinch away. "I do hope you won&apos;t embarrass me again... I would hate to break this pretty face again." "Levy my dear, I&apos;m changing something this year." I glanced up as he walked behind a large desk. My eyes widened when I saw him pick up a very familiar box. He saw us tools with no feelings, but he did make sure we felt one thing... And that was fear. That small box struck fear in us all. He opened it and pulled out a long blue string. "I want you to think long and hard before the ball. Because if you deny me this time... It WILL be the last time." He wrapped the string loosely around his wrist and waved me off. I bolted for the door, though it wouldn&apos;t matter how far away I was. If I denied him again, or even made him made, that would be the end... He would snap that string, my literal lifeline, and kill me. I sat in the great hall eating lunch with Grey. The number of servants was definatly smaller than it has been since Natsu got caught. But there was still plenty if work to keep us here till the ball. I hadn&apos;t seen Levy all day but Juvia assured me that she was fine just busy. We worked quietly through the rest of the day and by sunset I was on my way to the Sakura tree. Levy was sitting there, with her knees pulled to her chest and her chin resting on them. I sat in front of her. "You alright shrimp?" She puffed out her cheeks at her new nickname. "Im not a shrimp." she mumbled and I couldn&apos;t help but chuckle. "Gihee sure you are." I moved beside her and put an arm around her shoulder. "So what&apos;s on your mind shrimp?" I made a popping sound on the p. She sighed and shook her head. "It&apos;s nothing." She smiled then reached for something beside her. She held out the box to me. "I finished your mask earlier." I grinned and opened the box. The mask curved at the top like horns, and the sides curved down, to stop where my jaw line would be. Scales had been carved into it and it was painted a shiney black. The scales were tinted a red that matched my eyes. I looked wide eyed at the dragon mask. "Hey this is great!" I grinned and handed her a box with her mask. I had finished after today&apos;s repairs. I had added glitter feathers on the wings of the mask. She stared wide eyed at it. "It&apos;s beautiful!" she hugged me tight an I smiled wrapping my arms around her. "Glad you like it shrimp." She sighed. "Would you stop calling me that?"